BEAUTIFUL MOVE-IN READY CONDO WITH MANY UPDATES! FRESHLY PAINTED AND NEW LAMINATE FLOORING INSTALLED IN KITCHEN AND BATHS. KITCHEN HAS MAPLE CABINETS, STAINLESS STEEL APPLIANCES AND GRANITE COUNTERS. UPDATED BATHROOMS, HVAC SYSTEM 1 YEAR OLD, NEW HOT WATER HEATER AND NEWER REPLACEMENT WINDOWS WITH TRANSFERABLE WARRANTY. LOCATED IN KEMPSVILLE, NEAR TOWNE CENTER, SHOPPING AND INTERSTATE ACCESS. OPEN FLOOR PLAN WITH LOTS OF NATURAL LIGHT AND ALSO PLENTY OF STORAGE WITH LARGE CLOSETS. YOU WILL WANT TO SEE THIS AND CALL IT HOME!! Ready to visit 692 Oleander? Request a free property tour! Send me more information about the listing at 692 Oleander Unit 692, Virginia Beach, VA 23464, MLS# 10240170. 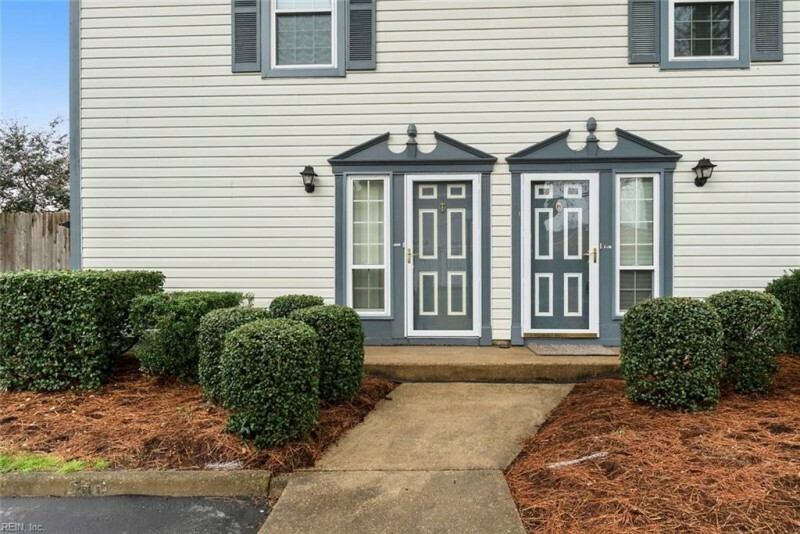 This 2 bedroom, 3 bathroom home located at 692 Oleander Unit 692, Virginia Beach, VA 23464 has approximately 1,254 square feet. It is currently listed for $150,000 and has a price per sqft of $11,962. This home is currently Sold under the MLS#: 10240170. This listing is provided by ERA Real Estate Professionals. 692 Oleander Circle, Virginia Beach was built in 1983. It has 1 Space, Assigned/Reserved parking.The kitchen includes Dishwasher, Disposal, Dryer Hookup, Microwave, Elec Range, Refrigerator, Washer Hookup. 692 Oleander is part of the Fairfield - 088 neighborhood located in 23464.